Back in August, we visited Scotland and we had the most amazing week. Some could say too relaxing because it has taken me some time to sort through all of my photos. Well, all stories must have a beginning and ours began at the Crieff Visitor Centre. We’d been in to Crieff town centre to look for some information on the attractions in the surrounding area and the ladies in the Tourist Information Centre had suggested that a very good place to start was the visitor centre up the road. There we would learn a bit more about the history of Crieff as an important cattle-droving centre and about the town in general. This gorgeous young man is an excellent example of kyloe or Highland cattle. Highland cattle are famous for being sturdy which is important given that they were bred on the treacherous Scottish Highlands. Groups of Highland cattle are called ‘folds’ of cattle as opposed to normal cattle which are grouped in herds. We found them to be rather shy except for when we tried to gently attract their attention and then they seemed rather scary. 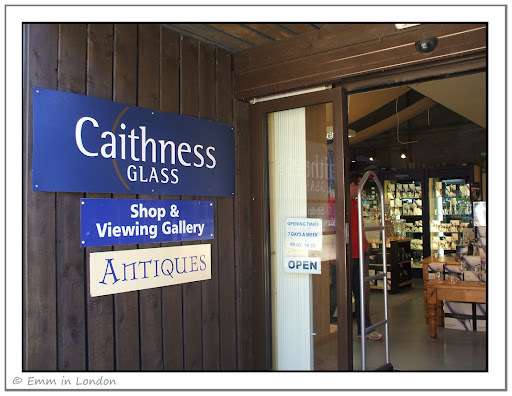 The visitor centre has a factory and outlet for Caithness Glass, a famous glass-making enterprise. We had the privilege of watching some of their most skilled glass-makers at work. My photos don’t even begin to do justice to the painstaking pace at which these masters work to make the most beautiful paperweights and other objets d’art. If you visit the Crieff Visitor’s Centre website, you can see examples of the finished products. 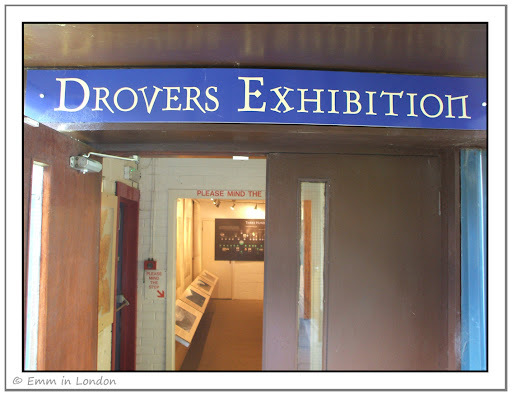 The final part of the centre that we visited was the Drovers Exhibition. This is a lovely exhibition that tells you all about the cattle-droving trade that made Crieff an important crossroads in Scotland in the early 1700s. They were really hard and brutal times and the exhibition tells you all about how the cattle drovers survived and what the markets must have looked like. This was the first major history lesson that I had in Scotland and it was to be a week where I learned much more about the people, culture and history of the land. It was the first sign I had that Scotland really is a very different country from England and it was really interesting to learn about it all. We left the visitor centre and headed out on our very first Scottish castle-hopping experience. @ Holly: Aaaah, there are so many castles to visit in England! I shall have to dedicate a post for you! Have you seen my posts about the road trip we took in 2008. I thought you might be interested in the first part of that. Specifically, I would recommend a route of London-Oxford-Stonehenge-Bath-Bristol for you to take. As always, well written, I can't wait to relive the next installment. Like you, on my first visit to Scotland I was really struck by just how different it is from England. It's hard to believe they're in the same country, really! Those cattle are truly magnificent, though the horns are somewhat fearsome! I have seen the glass making before. its just so facinating isnt it. I can imagine you have over hundred photos to sift through! "Cattle drovers" always makes me think of "Rawhide" and driving cattle up to Kansas--but of course cattle have to be transported elsewhere, too! Very cool! thats a huge cattle, never seen one like it. those is malaysia are too thin and lesser hair. Great and interesting post Emm. I never seen Cattle drovers in real life. It's kinda hard to imagine that those folds are shy. I mean see how robust-looking they are. BTW, I tried to follow the link to Caithness Glass and you're right, the glass paperweights and the artglass are beautiful. @ Forrest: aaah. They were gorgeous things. So healthy-looking. Castle hopping is amazing and there are lots of castles around the south for you to see when you get here. @ Patrick: awesome! Glad you enjoyed it! @ Twisting the Spanner: ha ha! Let's just say I was glad I was on the other side ofthe fence. @ Tina: it is fascinating! Ive always liked glass as I used to live near the Pilkingtons Glass Factory in St Helens. I always have tons of photos to label and organise!! @ Kathy Amen: hmm, now I'm interested to know how many of those Crieff cattle drovers might have gone to America when the trade declined in Scotland. @ Lily; I think those two cattle are kept as "pets" of the centre so they've had lots of time to fatten up but they were certainly robust and healthy. @ Con Art Trickster: I know, the glass was stunning. I meant shy in that they didn't immediately turn around and face the camera for me! How interesting! I'd love to tour there, too. I'll be looking forward to your next installment! Highland cattle are seemingly harmless, from what I have heard, they wouldn't hurt a fly unless they had to. I once walked through a field full of them all they did was look at me. It has been a few years since I last sampled a juicy steak from a Highland beast, and they truly taste delicious. The glass blowers are always fun to watch and some of the pieces that they make are truly amazing. @ Andrea: Well, i shal certainly aim to deliver it in the near future and not another 3 months down the line! @ William: They are rather yummy, aren't they? Nice to see you back, I've missed your posts. It's amazing the artistry that goes into making glass. I have not seen cattle like that with so much fur. I love Highland cattle, wonderful beasts! 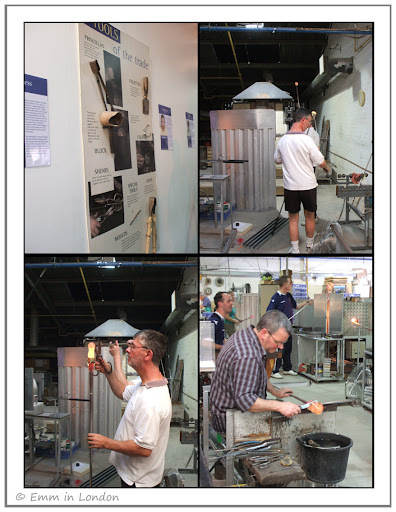 Coincidentally I visited a glass making centre in the south of France just recently but I didn't take any photos. I've a feeling it wasn't allowed - certainly not in the showroom. I suppose they were concerned that people would steal designs, but it always disappoints me. Glass blowing is an unbelievable skill, one slight wrong move and they have to start the painstaking process again. The Highland coo is a docile beast, beautiful but docile. Looking forward to your castle hopping. I've never seen Cattle Drovers in real life. I'd love to visit Scotland. I'm descended from the McDonald clan! 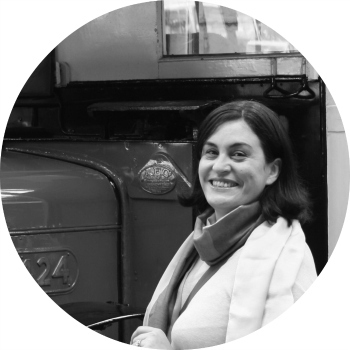 @ AVCr8teur: Thank you so much! It took a while to get back into blogging in 2011 but I jazzed up my photos and blogging became fun again. 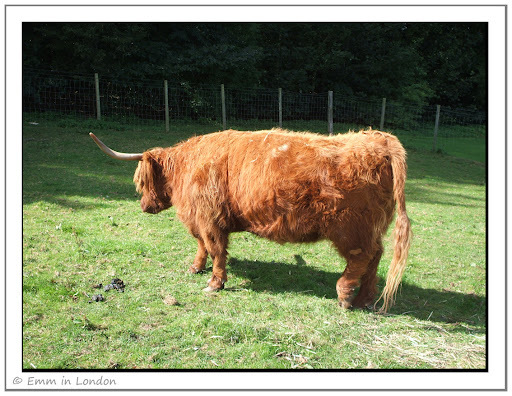 I had heard of Highland cattle before but never seen them! @ Sheila: The factory must have been lovely in France! I also get disappointed when people disallow photos and I am sometimes tempted to ask people for specific permission but never do. We were allowed to take photos in the factory but I got the idea that we shouldn't in the shop. @ Ryan: Aaah, so they are docile then. I know what you mean about the glass blowing and sculpting. They often had to start again! @ Betty: Heh, the drovers were the men who herded them. The cattle are called Highland Cattle. @ Cassandra: Really?? I have a friend whose maiden name was MacDonald.